Starter set includes paper towels, toilet paper, shampoo, lotion, bath soap for your first night. Please be adv ised that guests staying in this condo will NOT have access to condo mailbox. Please consult with HVP rep in order to arrange alternative mailing options. Spacious room with amazing ocean view! Scenery and location is the best! Scenery and location is the best! Check-in is unnecessary and passcode entry is convenient.Not reply from the management company is disappointing! The parking lot is connected by the side beside the parking lot and it was convenient to use! Great view, cute room, lots to do! All in all we had a wonderful stay! For the huge cleaning fee they charge the room could have been a bit cleaner, but other than that it wasn't bad! The view that you get to wake up to is breathtaking! Just a word of advice, DO NOT use their iron and ironing board! Completely ruined my favorite shirt! The board is so old that the padding is almost nonexistent and the iron is terrible. Other than that, the room was cute! A bit outdated, but cute! I would stay again. We have irons and ironing boards in stock. We wish the Guest called. Nicely decorated room and great view. Excellent location with lovely view of lagoon and sea. 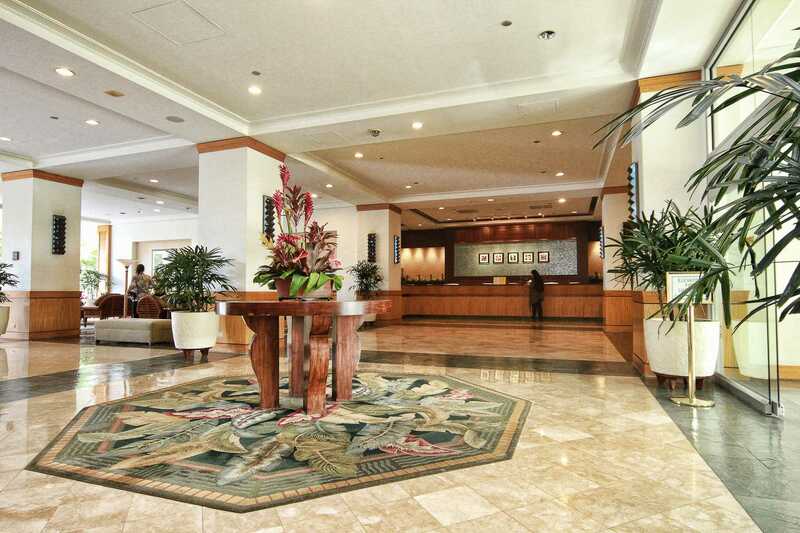 Walking distance to Ala Moana Shopping Mall and to centre or bus stop at your door. Easy check in and check out. Well equipped condo and very clean. We also used the valet parking for our rental car which was extremely convenient. Will definitely stay again if the opportunity arises. We really loved our stay here. 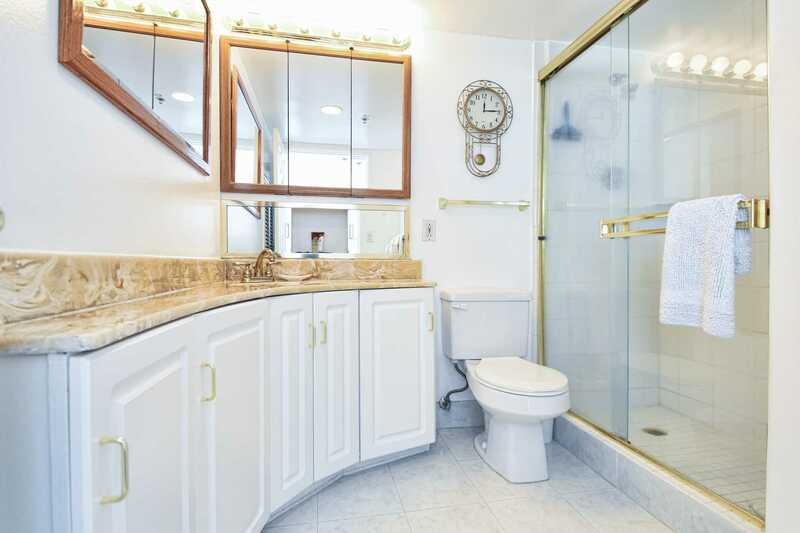 This condo is as described. Comfortable and a great price. Yes, it could use updates in decor, but otherwise an excellent location. 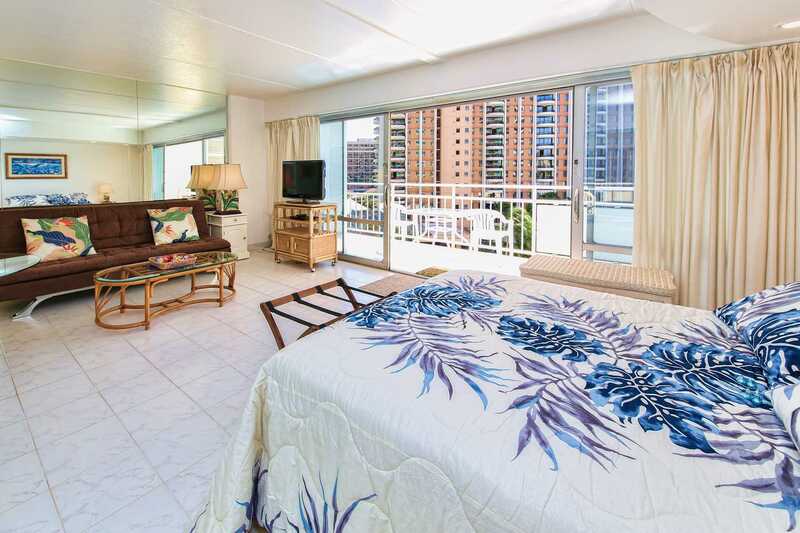 The lanai is full ocean view (what we wanted) and the Hilton next door has a rooftop luau Sunday through Thursday. So, even if you never attend the luau (we did not) you will benefit from it as you sit out on the lanai and listen. It certainly added to our experience of the island life. The fireworks on Friday night seen from the lanai was also nice.The walk to the beach is pleasant and the Hilton's lagoon is quite nice along the way, and it is seen from the condo, too.Enjoyed the condo's strong hot shower, full kitchen, and laundry facility just steps from the unit - bring quarters - 2.50 to wash; 2.50 to dry. Warning, there is no dishwasher in the unit, but soap, disposable dish cloths, and a dish drainer are provided. Starter coffee filters were also provided. We brought pre-ground coffee in our luggage. No problem at the airport as a carry-on. Of course, Kona coffee is the choice coffee on the island and every store has it. There is a mini mart in the Ilikai and an ABC grocery store quite near. For more selections, the Food Pantry is better (larger and more choices) and an easy walk. You will pay much higher prices at these three location, though. We took full advantage of the public bus transportation, gotten right out front of the Ilikai, and went to Target .9 miles away for normal grocery store prices to stock up for the week.All in all, a great time! We loved our stay. Never turned on the TV. 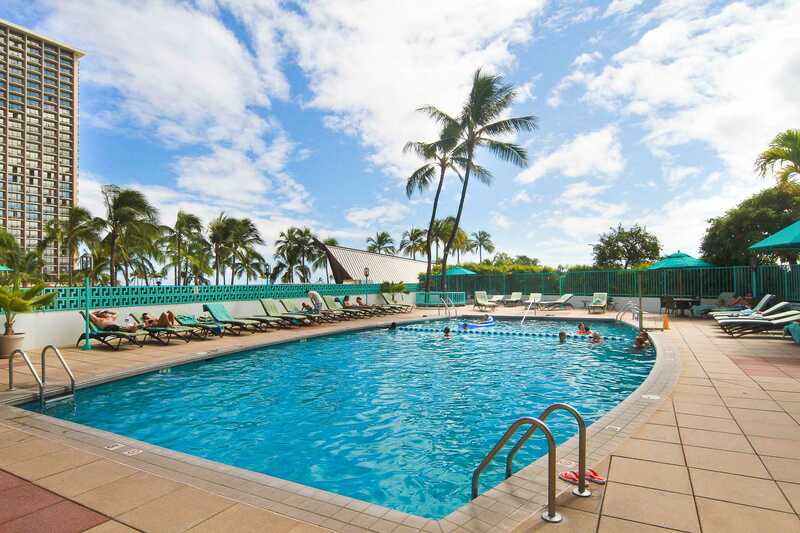 Spent most of our time on the lanai, the beach (beach chairs and towels provided), the shallow pool with chairs in the water, or touring the area. 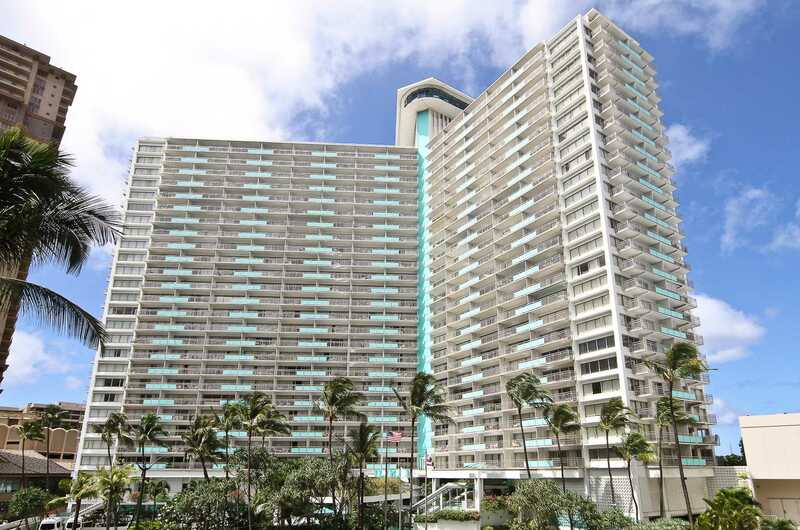 If you don't need upscale accommodations, I wouldn't hesitate renting this condo, and the Hawaii vacation properties were great in responding to all my questions. Hope this review helps. Aloha! Everything was just as promised. Bright, clean, and well-maintained. View from the condo was fabulous, waking up to the sight of the ocean and the 2 swimming pools below. 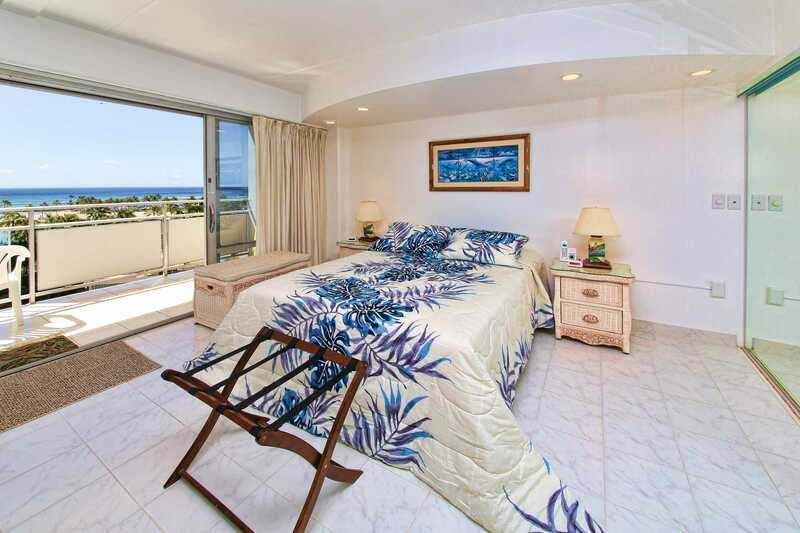 Others in our group who were staying in other condos in the Ilikai, were also impressed with this one. Will be looking to book here again very soon. Our stay in 614 was very enjoyable. The fireworks on friday night were beautiful and we were able to watch from the lanai. Beautiful view of the lagoon and the ocean. Transportation to anywhere is conveniently located in front of the hotel by bus or trolley. The condo is well furnished and the bed is very comfortable. I highly recommend this rental. Would gladly stay here again. We enjoyed our stay at this condo very much. The Friday night fireworks were beautiful from the balcony and transportation to almost anywhere was convenient from the front of the building. The condo was clean and comfortable. I recommend this property. We found the property clean tidy well located with a great view overlooking the pool lagoon and beach. Good location for transport and short walk to shopping. The heated pool was great and we enjoyed our stay. We would definitely stay here again if available. Wonderful time thanks to the location. The fireworks was the cap-it-all, such a display every Friday evening. Every thing wa as advertised and we were both impressed. View is wonderful. Bed was great. Amenities were also nice. Would definitely book it again, if available when when we could go. We really enjoyed our stay. Everything we need was provided. Would definitely stay here again. Bright, airy unit with a great view over the pools to the ocean. Nice location at the end of the beach walk. We really enjoyed our stay and hope to come back. 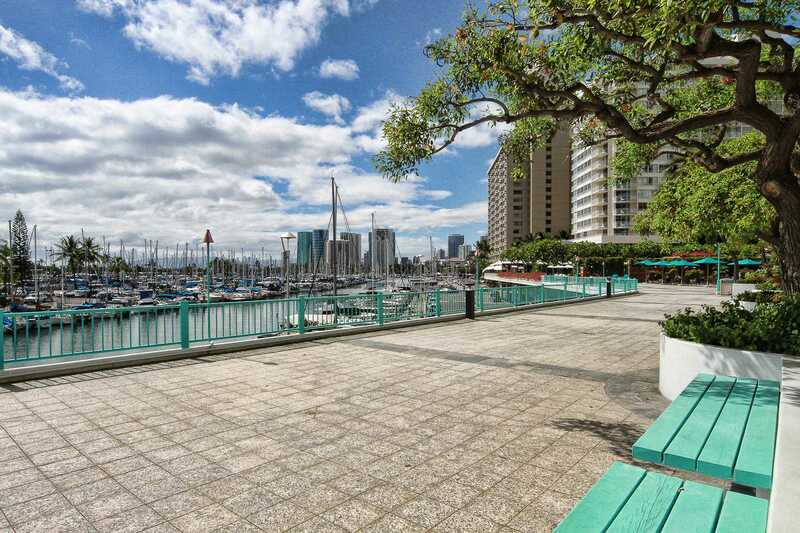 Great condo, modern, clean and nice view of the Marina. Loved the keyless entry system. Quiet AC, excellent wifi and it was nice to have the telephone. Lovely kitchen with plenty of plates, bowls, cups, glassware etc. Everything provided for a pleasant stay. We really enjoyed our vacation in this lovely unit. It was bright and airy with a beautiful view over the pools to the ocean. It was clean and well stocked with everything we needed. The hotel is very nice and well located at the end of the beach walk. We definitely hope to stay here again. Beautiful venue with a really nice view. It was the first thing I saw when I walked in. Some minor things could be taken care of. Property manger is available and responsive. I would come back. The room was great. The views did not disappoint. The Illikai is a great property too! Loved it! Thank you for letting me stay in your beautiful condo. Had a wonderful time. I definitely be a return guest! Great views awesome CONDO I loved it. Will be back again next year for sure!!! This was my second time to Hawaii & my second time staying at Ilikai 614 - both were just as wonderful as I remembered! 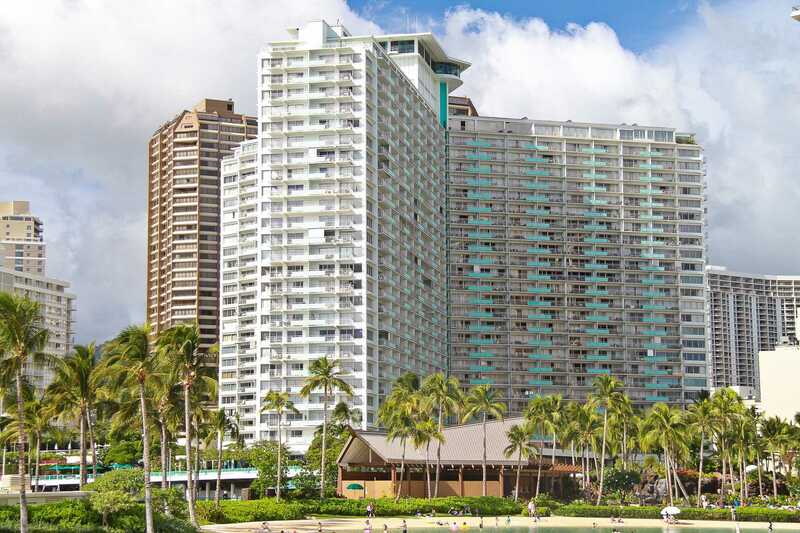 The Ilikai building is (in my opinion) in the perfect location - it's down the quieter end of Waikiki & it's close to Ala Moana (for shopping & also local buses) but it's still only a little walk or short trolley ride into the centre of town. The beach out the front is never too crowded & the Hilton Village next door has most things you need if you don't want to go much further. The market downstairs is open early til late & has all your basic groceries, alcohol & gifts. There's also a delightful coffee shop & spa for massages etc. The unit itself is spacious, clean & bright; it was always a pleasure to come "home" to after a long day at the beach :-) I love that it's all tiles & there's lots of mirrors to reflect the blue sky & water from outside. The bed is super comfy, the kitchen is fully equipped & the balcony is great for either chilling, watching the Friday night fireworks or drying your swimmers & towels. The keyless entry makes everything even easier - you should never lock yourself out! HVP were excellent to deal with - very clear with instructions & always quick with communication. I honestly can't imagine staying anywhere else when I visit Waikiki! Hopefully I'll be back in the not-too-distant future. 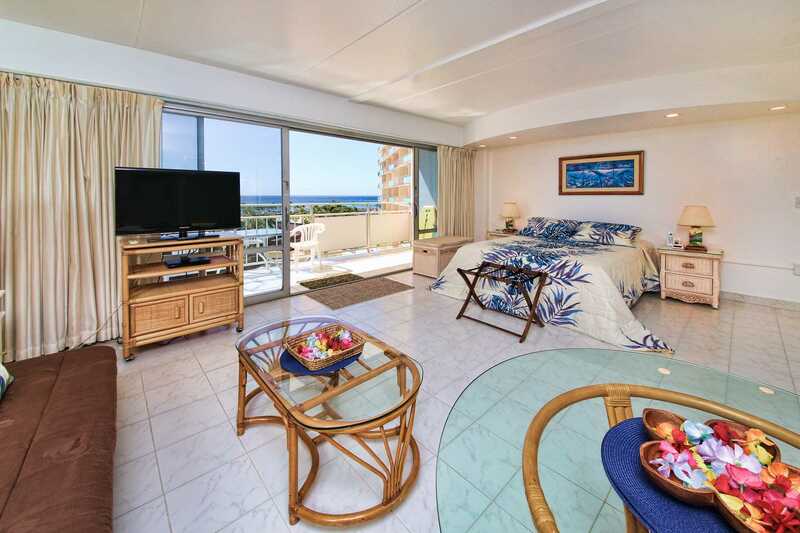 We love apartament 614 ILIKAI . Perfect !!!! 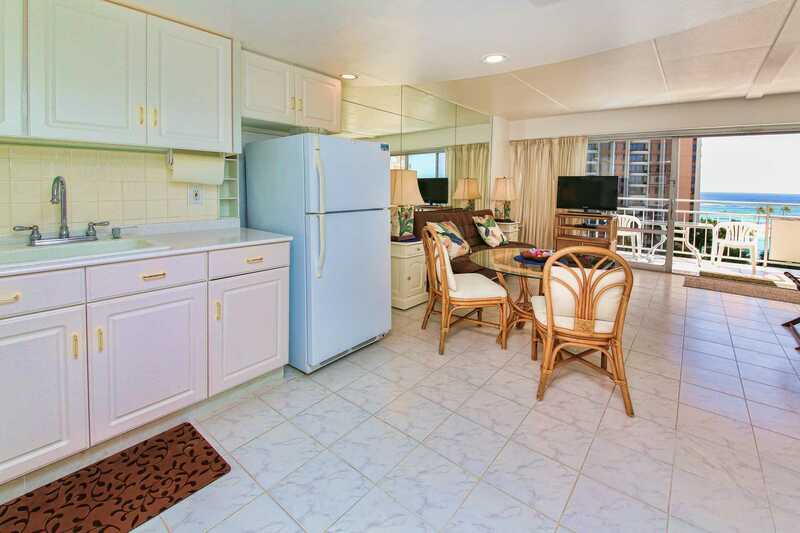 We have stayed at the Ilikai for 4 years in a row and have been in 6 different units. The openness and Ocean View from 614 was amazing. The room was clean well equipped and met our expectations. Looking forward to next years stay. Great place / Excellent location. The condo was clean, tidy and better than expected. The location was perfect for a holiday with most things, beaches and shops, in walking distance. We look forward to visiting again in the future. It really is 5 star accomodation at a reasonable price. The place was all we wanted for our 7th anniversary stay in Hawaii. It is very clean, great location, reasonable price, quick response from the property manager with questions but over all, great views from the room, you can see some from the pictures but to be honest, they don't do justice, is much better in person. We will definitely stay here again. 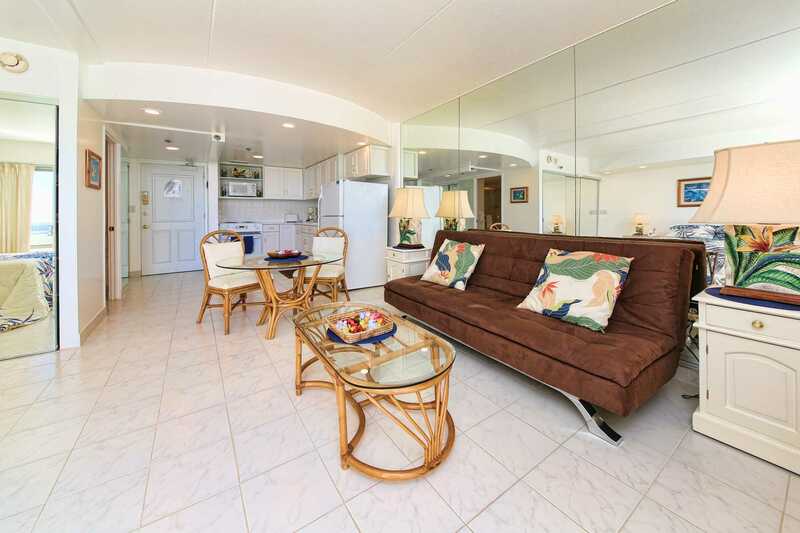 We have traveled to Hawaii many times and we found we really liked the Ilikai. We are a middle aged couple and like it quiet at night. We really enjoyed the Friday night entertainment and Sunday night entertainment on the Ilikai lobby patio. Everything was good and worked in our unit, checking in was a breeze. All the hotel staff were very nice. Our unit was clean and comfortable with everything you need for cooking, and the wifi and phone were a asset when connecting with our family. My only suggestions are other apartments we have rented have all had the luxury of a comfortable Costco King size bed, also a good set of Costco Tommy Bahamas's beach chairs and a beach umbrella and maybe a floating tube or boogie board would really seal the deal for me. We don't need fancy just comfortable as most couples we know have a King size bed at home it's really a downer to go backwards on your holiday. Most of the Canadians we know that travel are looking for those amenities. 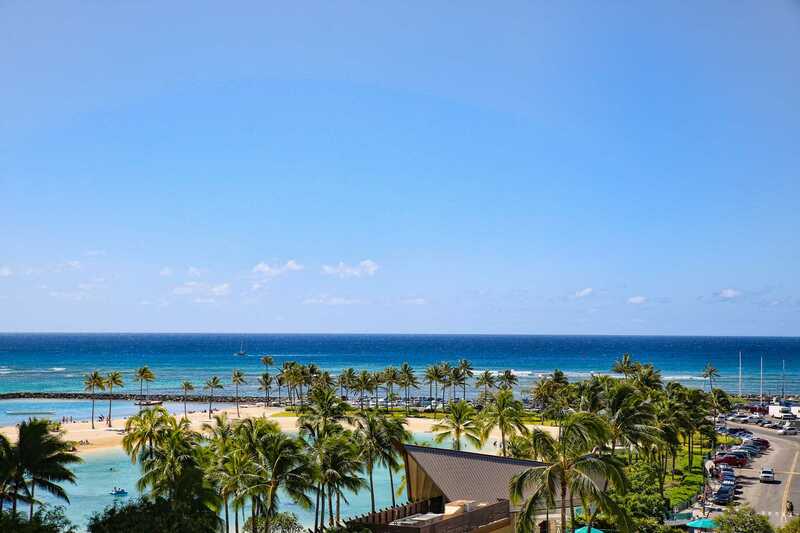 We will defiantly book again with Hawaii Vacation Properties. Thanks for a enjoyable stay! This condo is advertised as having a queen bed. IPricing reflects that it has a queen. We supply sand chairs, beach towels & a cooler. It was a very convenient place. The kitchen faucet has been replaced, shower mixer scheduled for the same. We do professionally service all window ACs on a schedule. The condos are 500 sq. ft. & you can hear a 16,000 BTU AC in the condos. Great location, level 6 was low enough - wouldn't stay lower as noise from street and workman below would be too noisy. But what a great Hotel, old but still in great shape for a 60+ building. The staff down stairs were wonderful. Units are just enough I think for three, its spacious one bedder or studio. Bed was comfortable. Staff from HVP had excellent communication and courteous, thank you Kath. 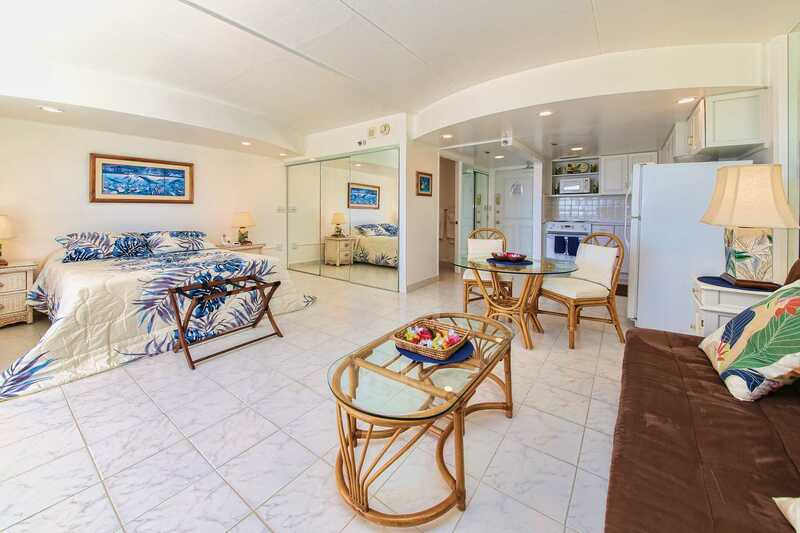 Ilikai 614 is HEAVEN- Beautiful Open bright well furnished spacious apartment with Panoramic views - I couldn't have wished for a better place and I have visited Waikiki at least 2o times in the last 20 years- From early morning glowing light to perfect fireworks - a Magic Place! I definitely will book this space again! Quiet convenient - a secret corner of Waikiki that is Perfect! Reasonably priced. Very comfortable. Great location. Furnishings excellent. Everything we needed. My husband and I travelled for 9 days to Hawaii for a wedding. This condo was perfect for our needs. 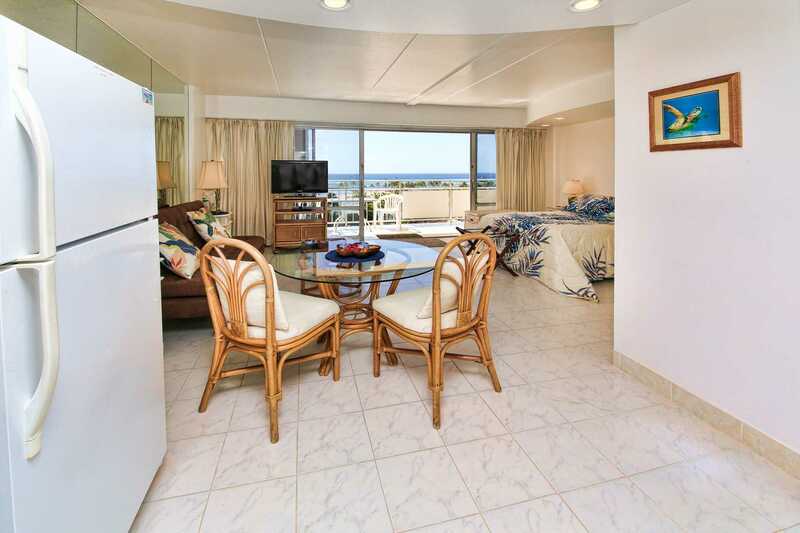 It was spacious, spotless and had amazing views of lagoon and ocean. I had researched accomodation for over a year before we went and found this was the most reasonable in terms of price for the location and water views. The condo had everything you needed and would easily fit a family in. Only downside was workmen working directly underneath us every weekday which got quite noisy at times but obviously this was just a timing issue and will finish soon. One important thing was no access to gym, which although may not worry some people, may affect others who like to work out. We stayed in Room #614 while we attended a conference in Honolulu. 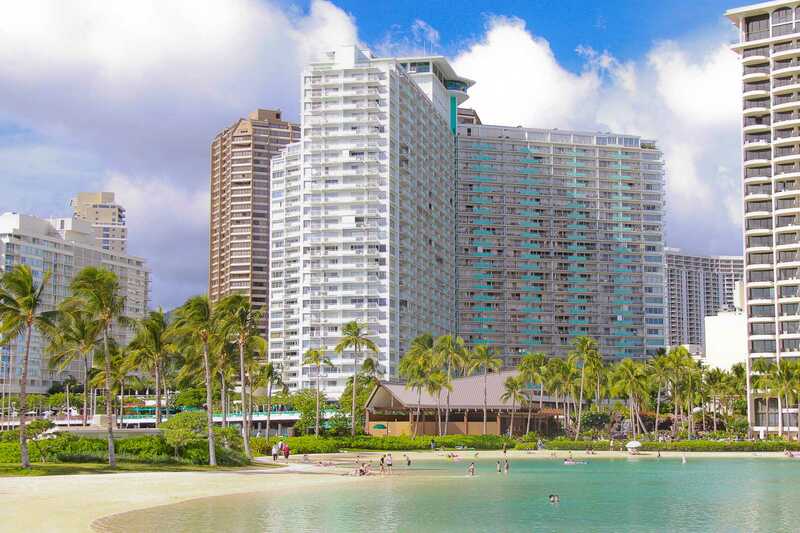 Walking distance to the Honolulu Conference Center and also walking distance to the mall which has 200 stores/restaurants in it. The view from our room was great with an overview of the pool and lagoon as well as view of the fireworks which go off every Friday night over the ocean. The actual room itself was very comfortable. Lots of mirrors in the condo which make it look open. The bed was comfortable; only minor complaint is that the mattress cover was made out of material that made a crunching sound as you slept on it. But otherwise, very comfortable. Bathroom was clean and really appreciate the extra towels, hair dryer and soap/shampoo. Kitchen was complete with pots/pans, full set of silverware and a large fridge. We really appreciated the extra effort by supplying information on local restaurants, providing two beach chairs, an umbrella, insulated beach bag and the pool passes for the hotel. Also, parking is not included, so be prepared to pay $28/day for valet parking or try and find street/lot parking elsewhere nearby. 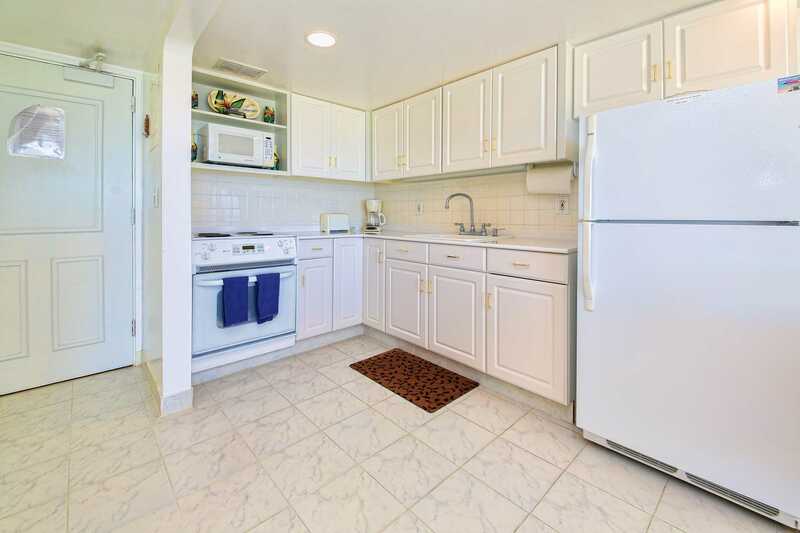 Good location as well in the southwest corner of Waikiki. 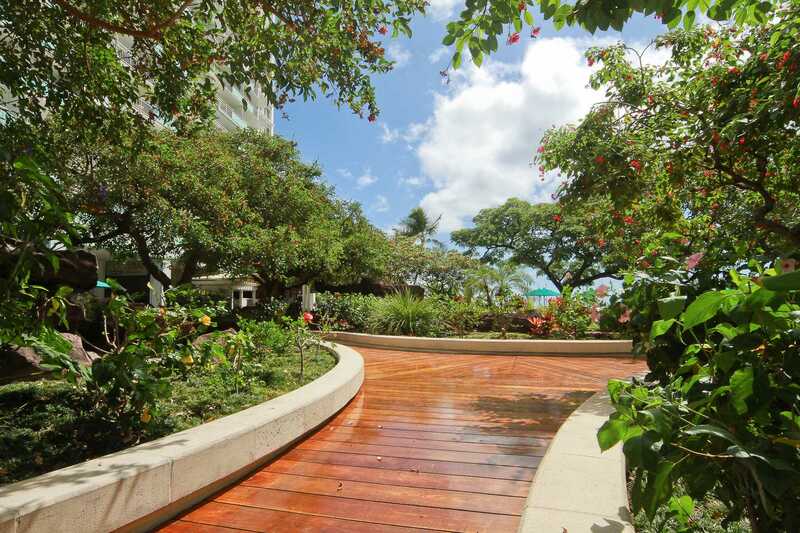 Easily walkable along Waikiki beach to other hotel restaurants/bars. About 30 minutes to the airport. We really enjoyed being just slightly outside the crazy bustle of center Waikiki which made our stay even more relaxing. Overall, great place, extremely good value and would definitely recommend staying here again! Unit 614 was in absolute pristine clean condition, with crisp white floors, walls and ceilings which made the unit feel bright and spacious and very 'beachy'. Plenty of linen and practical items were contained within the unit which made holidaying much easier. Beautiful lagoon and sea views. Such an ease with the code door entry as well, so you never had to worry about misplacing your room key! Highly recommend and hope to be back again some day! Mahalo! Usually, we stay in the Hilton Hawaiian Village when we visit Oahu. This time, I decided to try a condo rental instead, with the convenience of a kitchen to cut costs. I crossed my fingers that I made a good choice. I did. When I walked into the room, the brightness of the room and the expansive view of the ocean, I breathed a sigh of relief. I was disappointed that it was a studio instead of a 1 bedroom, but the mirrors on one wall made it so much bigger and airy. The bathroom was clean, no nicks, scratches or mold. The kitchen was fully stocked with utensils, plates, pots, microwave, everything. I could take home leftovers for a change whenever we went out to a restaurant. The lobby was very nice and open. They seemed to have entertainment in the downstairs restaurant or in the open area. By the way, the restaurant has very reasonable prices and the food was great. You can choose parking with the hotel $30 daily or park in the Marina Public parking, $1 an hour, 24 hrs at a time Max. So if you are in and out, not paying for the time you are away, it works out to be less expensive. Other reviews are right about being close to everything, especially to the beach and the fireworks. It was a great trip and the room was a comfortable haven to just kick back, have coffee or snacks on the patio overlooking the ocean watching the boats sail by. I wish I could post pictures here but I hope this provides enough information. Great unit, very clean and was nicely presented, everything was there. The view was spectacular, sitting there every nite with a nice bottle of red watching the sun go down, will definitely go back to the same apartment. Kat and James excellent service. Jan 01, 2015 by Alan H.
Hawaii again. Thanks once again for making our holiday really great. Bye for now and have a Very Happy New Year 2015. We loved 'our apartment'! 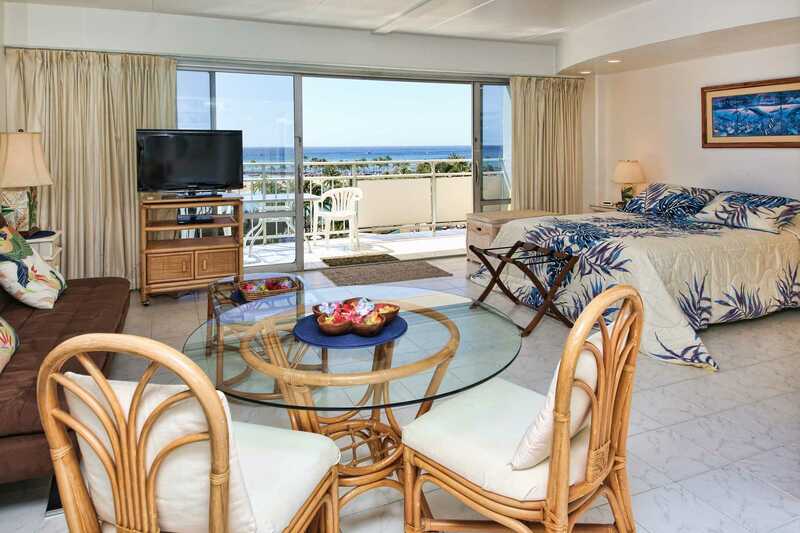 Right on the lagoon, a short walk to the beach and great bars. NO TRAFFIC! Bliss! 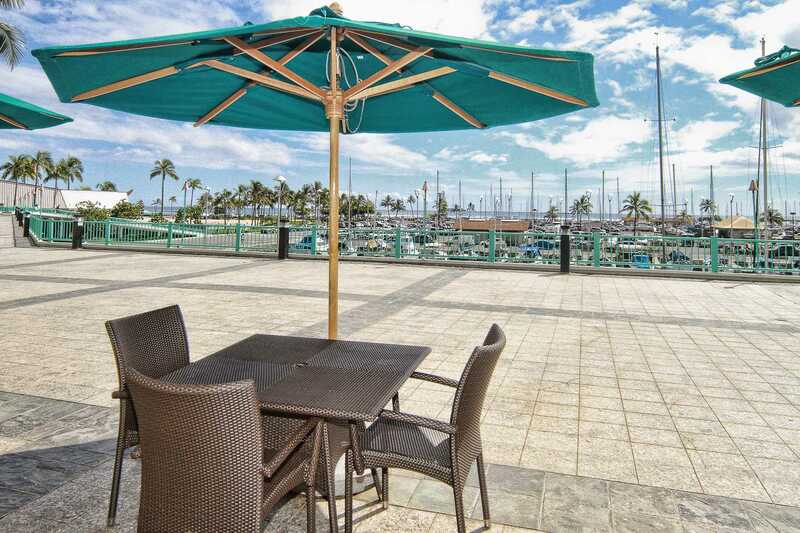 Quiet, walking distance to a la Moana and the Hilton Complex. Apartment had everything we needed but could do with bedding and sofa upgrade. We would go back in a heartbeat. 11 days in a very economical and comfortable setting. 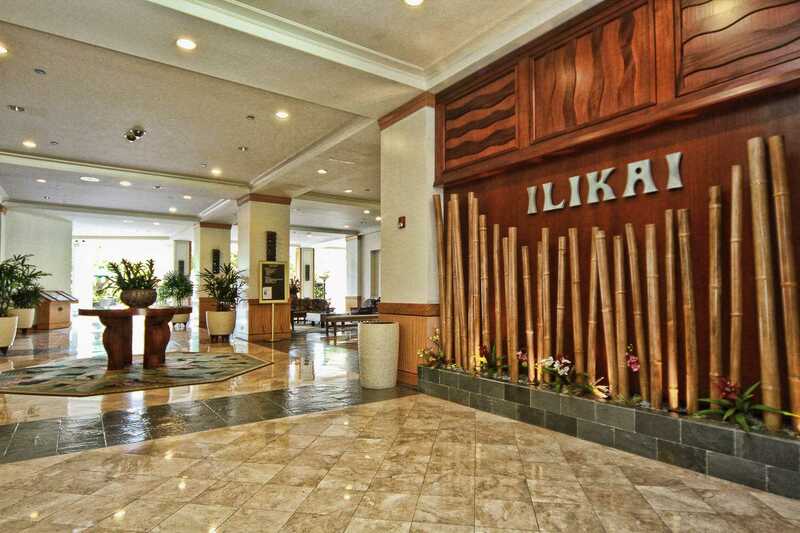 We thoroughly enjoyed our stay at Illikai, we found the condo to be clean and comfortable and appreciated the full kitchen, living area and lanai with a beautiful view. 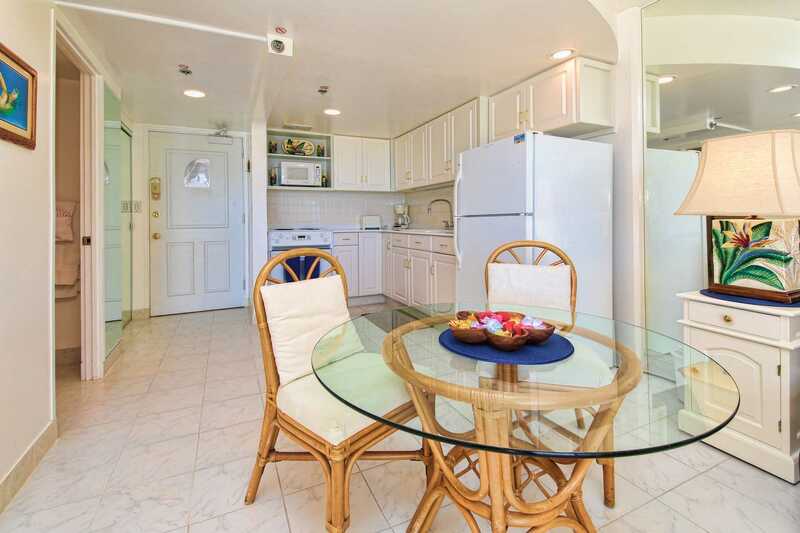 With only a short walk to the beach and the main strip of Waikiki this was a great location for us. We didn't want to leave and would definately recommend this hotel and would stay here again. Very clean and convenient condo. I enjoyed all the convenience of the location, so close to everything. Nice to be able to feel comfortable in the unit and to enjoy the views any time of day. Was beautiful with a stunning view I just couldn't get enough of. There was a fireworks display in the lagoon on the Friday evening which was a joy to watch from the lanai. I am looking forward to returning!! Convenience store in the lobby had everything you need for self catering. Beach is 2 min walk and 10 mins downtown. 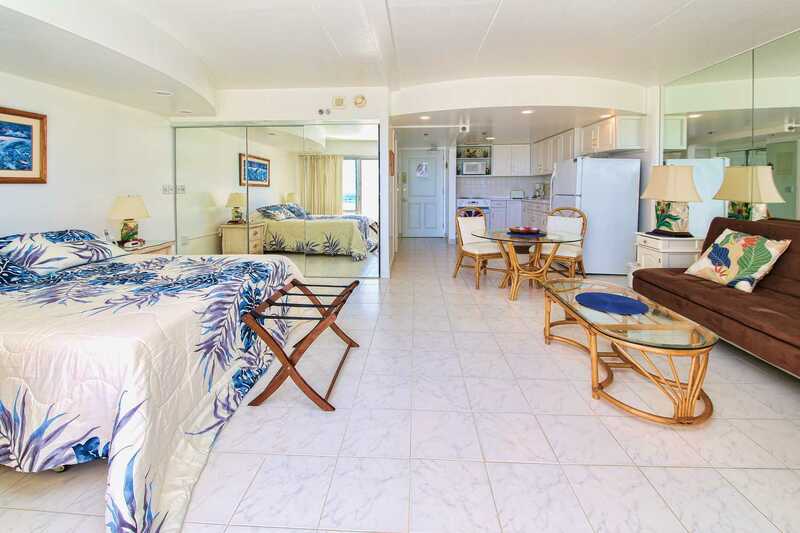 Had a great time in unit 614 at Ilikai, the unit was clean had everything you would need for a great vacation. 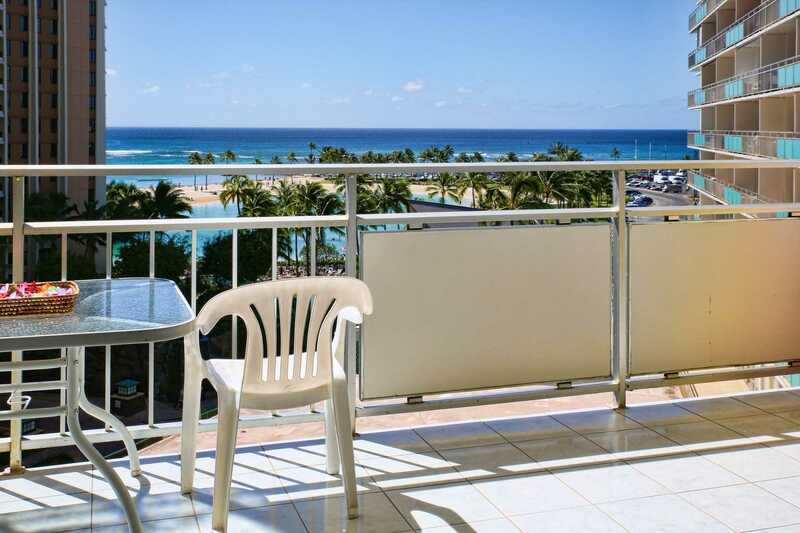 Great ocean views from the balcony, the building is in a very quiet end of Waikiki, great transportation just in front of the building. 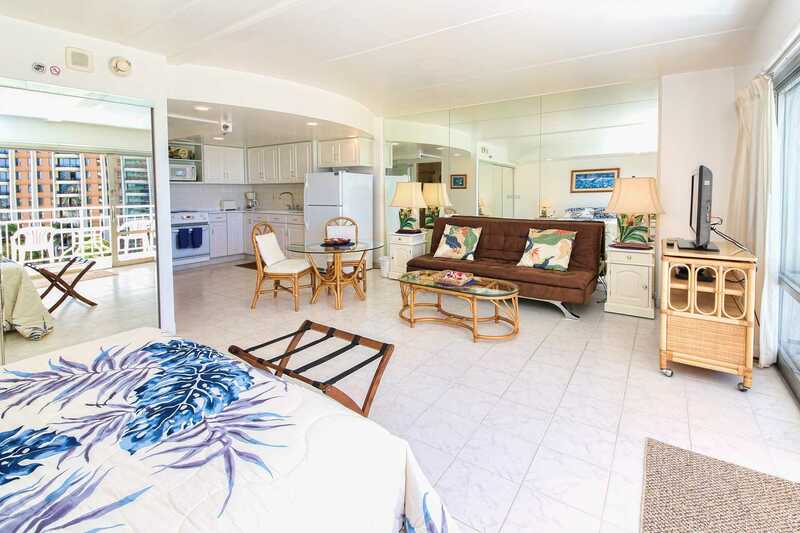 We souls stay at this unit the next time we visit Oahu. Bright, clean & welcoming! Great view, perfect location! My Mum & I just got back from 8 wonderful nights staying in apartment 614! It was our first time to Hawaii but as soon as we stepped into this unit, we felt like we had found our second home :-) The property manager had emailed us lots of detailed & descriptive information before our trip so we had an incredibly easy time locating the hotel & finding the room. We loved the keyless entry - it was convenient & gave us one less thing to worry about carrying/forgetting every time we ventured outside. The unit was very clean with fresh towels, linen & a well-equipped kitchen. We loved the mirrors & tiles & general decor of the apartment - it was bright & cool & welcoming! The little touches also made a difference - there was lots of hooks & rails in the bathroom for hanging up towels etc, & there was a soft mattress overlay to go on the sofa bed. Exactly like the pictures, the balcony overlooks the lagoon & the gorgeous ocean behind it. It was also the perfect place to watch the Friday night fireworks! It might be different in Summer, but the sun didn't come into the apartment during any part of the day so it was always cool inside - we didn't use the fan or a/c once! The Ilikai is down the quieter end of Waikiki & this was perfect for us. We enjoyed the walk or trolley ride into "town" but we liked being a little away from the hustle & bustle. 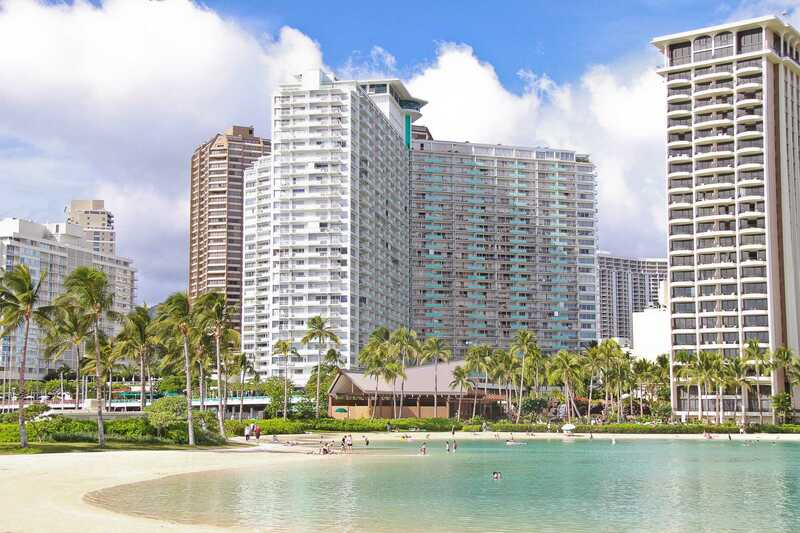 It's also only a short stroll to Ala Moana which is not only great for shopping but also a good place to get buses to other parts of the island. The staff at the Ilikai were lovely, especially Dana at the tours desk downstairs. 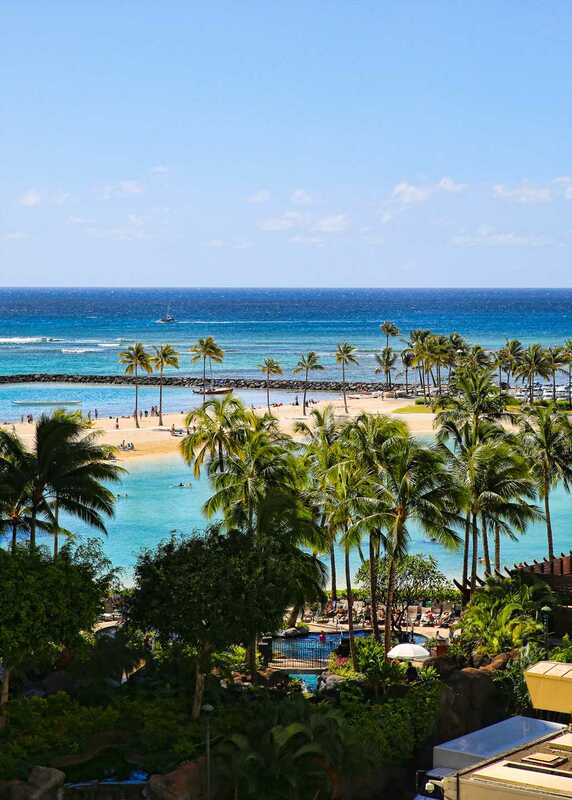 We recommend you see her about a Pearl Harbour tour, snorkelling at Hanauma Bay & Chief's Luau. Book your outlet shopping excursion & airport transfer through the Valet out the front & take yourself to Diamond Head & Kailua/Lanikai by catching a local bus. We had a fantastic time exploring Oahu! Mum especially enjoyed Pearl Harbour & Chief's Luau, my favourites were probably Hanauma Bay & Kailua Beach :-) If we had to come up with any negatives about this apartment, & we're really clutching at straws, it's just little things like the hairdryer is very old, there wasn't a clothes horse to hang wet towels & swimmers out to dry, & we would've loved a cup of tea when we arrived but there was no complimentary supplies. But these are incredibly small oversights completely out-weighed by the list of pros :-) We're 100% certain we'll be back to Hawaii in the (hopefully) not-too-distant future & we wouldn't hesitate to book unit 614 again. It made our holiday all the more amazing! We enjoyed our 12 night stay - end of Feb into March 2014 in Suite 614. It was as described. The suite was clean and efficient. The Balcony table and 2 chairs were used for our breakfasts and evening relaxation - plus bonus of Fireworks right in front on the lagoon. The Balcony could use a lounge seat. TV flat screen worked great up to the last evening. The internet was free and ranged from weak to strong reception. Kitchen was fully equiped except it would have been nice to have salt and pepper as well. The bathroom was well laid out for the 2 of us. The shower large enough to handle 2 as well. We found the staff and other guests friendly. The location is a 15 minute walk to the Major Shopping Centre and 15 minutes into the heard of Waikiki. The restaurants in the building both serve good to great meals inculding the happy hour in the upstairs Bar. Great views from up there. We enjoyed a spectacular Fireworks display while dining up stairs. Great way to end our vacation. Absolutely wonderful stay - we loved our condo. Arrived late in the evening and to wake in the morning and pull the drapes to the view is something we will never forget. 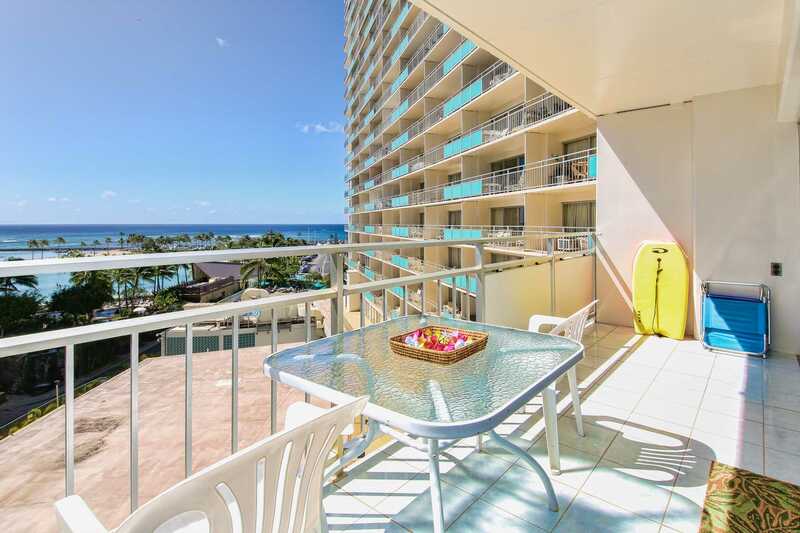 The condo was so well equipped, impeccably clean and we loved the location - it was perfect location in close walking distance to alamoana Mall, just 10 minutes walk to the heart of Waikiki, and the bus stop outside the door. The Food Pantry Supermarket 3 minutes walk. This condo had everything anyone could possibly need and we will definitely be back. We rated this location as the best!! Have already recommended this property to many of our friends..
We had a wonderful stay at this location! My daughter and I took this trip for her high school graduation. It was great having the kitchen facilities and not having to go out for meals all of the time. The condo was a lot more spacious than having a hotel. It was also very nice being so close to the beach and having laundry facilities right down the hall. Oh, and the keyless access to the property was definitely a plus as well. Like the condo a lot. Very relaxing and love the view from the Balcony. The firework was amazing from the balcony. Very clean and easy access to the condo. The only thing that I didn't like was the self parking was bit too far of a walk but other than that I like the location. Definitely will stay at this condo again for the next trip in the future and would recommend to everyone.